150 people from global pensions, insurance and asset management group, Aegon Insights build bikes for charity with Building A Dream team building activity. 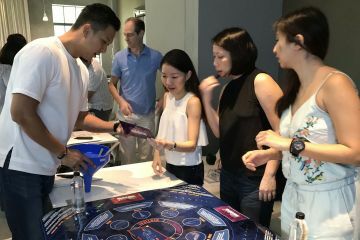 Gladys Sun, Manager, Events Management - Aegon Direct & Affinity Marketing Services Limited in conversation with David Simpson, Director, Team Building Asia. What did you experience today? Our theme today was transforming dreams into reality. 150 people were divided into 12 teams. Each team had to build two bikes. After assembling the bikes we had serious quality control. 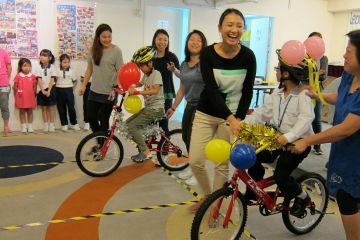 Finally the bikes were donated to charity who passed the bikes onto the kids. It was fantastic. Everyone from the CEO down to the tea lady were very happy with the experience and they all had a fun afternoon. What was the Key Learning? We learnt about working together - team work. This is very much aligned with our corporate core values. And most important of all because we assembled the bikes for children so we really fulfilled our corporate mission which is being customer centric. A leading world bank use team building experience to develop team work, interaction and values creation. 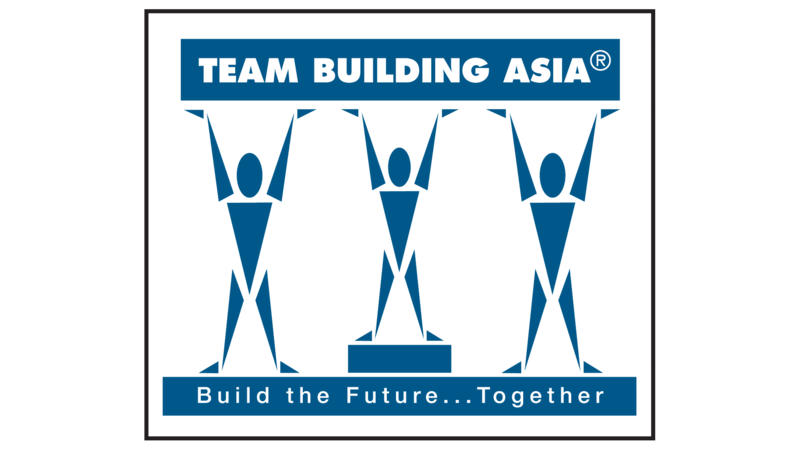 Team Building Asia is the exclusive licensed partner of Catalyst Team Building products in Hong Kong, China and Macau.